Gareth Snell Talks – Social Media Goes Wild! I’m delighted to have been chosen by local Labour members here in Stoke-on-Trent Central to be the voice of local people. I’m proud to come from the Potteries and even prouder to be standing to represent our home in Parliament. Labour has always stood up for local people here in Stoke-on-Trent, whether it’s building our first new hospital in 100 years or defending our vital children’s centres. The Tories haven’t done anything for our city, and now they’re trying to sell off £1.2 billion of cancer and end of life care in North Staffordshire. And UKIP’s plans for our NHS are clear – sell it all off to the highest bidder. Only Labour will do what is needed to get a fair deal for the people of Stoke-on-Trent Central. After a two hour grilling of the three final candidates, I can confirm that the Labour Party PPC to contest the upcoming by-election for Stoke-on-Trent Central is Newcastle Borough Councillor Gareth Snell. Each candidate gave a 10 address followed by 20 minutes of questions from CLP members. Labour’s Stoke Central Shortlist – Confirmed! 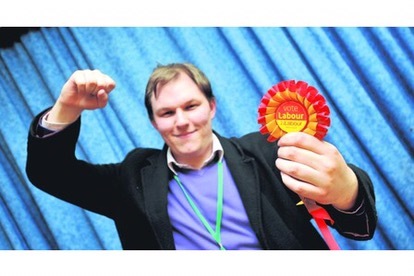 Stoke-on-Trent Central Labour Long List – Who’s Left? OK so the long listing for the Labour Party candidate selection has been announced and it contains no surprises and some glaring omissions.